A shot of the final miniature…. 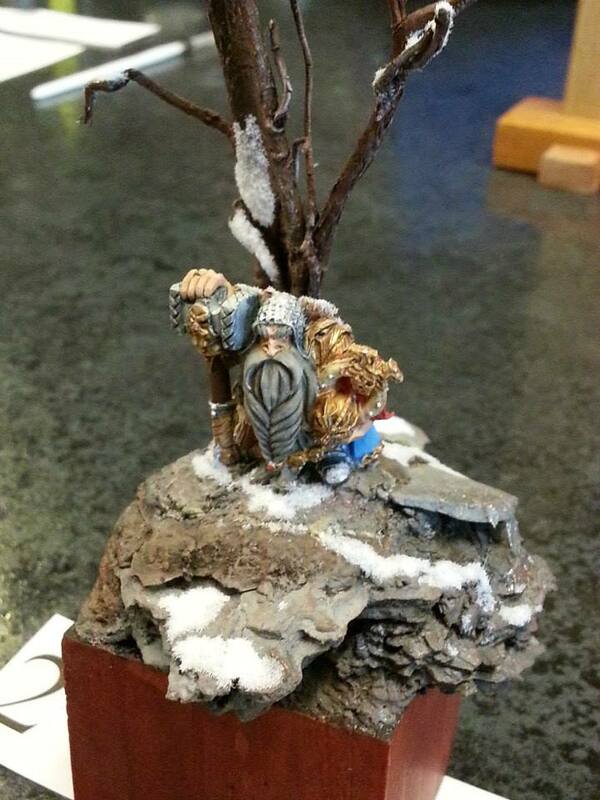 Here is a shot someone took at the shop of my dwarf. I, of course, can only see faults, and I seem to be only able to compare it to the likes of Jen Kaufman and Michael Proctor, but there is a lot to like here. He is not mounted on the base as well as I would like (mainly seen from the back), but overall, I am happy with it. The base I am really happy with. A gamer, a painter, and a reader. This entry was posted in minatures, miniatures painting, minis and tagged miniature painting, miniatures, minis. Bookmark the permalink.